Meet Sandra, head of problem solvers! I am Sandra Maessen and I am a member of the School Support team. With 3 other colleagues, I try to help our customers however I can. Our goal is to make sure that you can use Gynzy and your interactive whiteboard in your class, whenever you want and in the way you want. If something does not work as you want it, we would love to hear about it and solve that problem. Because, we believe that when a teacher creates a great lesson with Gynzy and offers it to their class, teachers as well as the students will be happy! On a daily basis I am ready to answer any kind of customer questions via email and telephone, and listen to your feedback. Your feedback helps us to make our software even better and more useful in your class. So, never hesitate to share your tips and tricks about Gynzy with us! It makes my day if I am able to solve any kind of problem for a user! I love hearing teachers’ stories of using Gynzy in class. We get lots of great compliments about Gynzy via telephone and email. I feel great when I can share your praise with the whole Gynzy team. 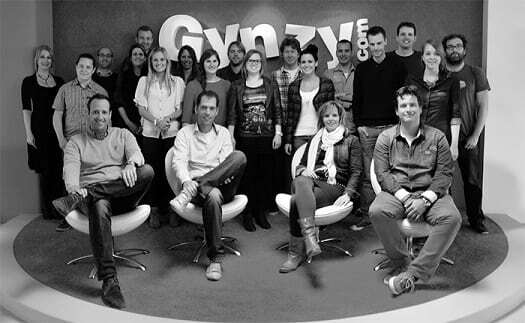 At Gynzy we say, “Happy Teachers, Happy Kids!” and I am very confident in this notion. So, if you need help please let us know, we will help you and make sure you stay a happy teacher! You can contact me via support-en@gynzy.com or give me a phone call!